October is here, and holiday decorations are beginning to show in the big box stores. To some, that means it's time to start preparing meal and gift ideas for the holidays. But to travelers, the smell of nutmeg and sound of holiday tunes means it's time to start planning a getaway. Heading out on a cruise is one way to skip the gifts (and snow) and spend more time enjoying each other's company during this otherwise overwhelming season. 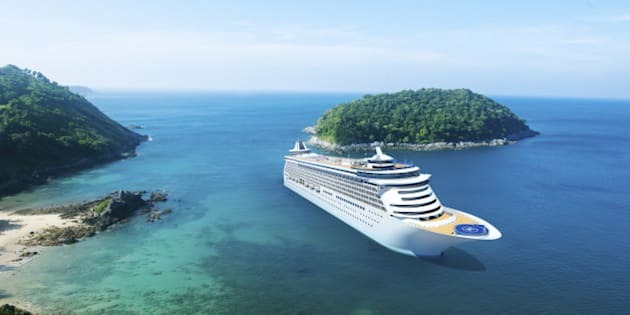 These five reasons to choose a cruise over your usual holiday traditions will make you want to pack your bags today. Canadians and Americans spend small fortunes on holiday gifts and activities. Your money can actually go farther on a cruise. Choose a fare that includes your room, food, transportation, and entertainment, and you'll probably notice that you spend far less on cruise tickets than you would on gifts. Kids cruise free on some cruise lines, so choose the right company, and you could save hundreds on your holiday spending. 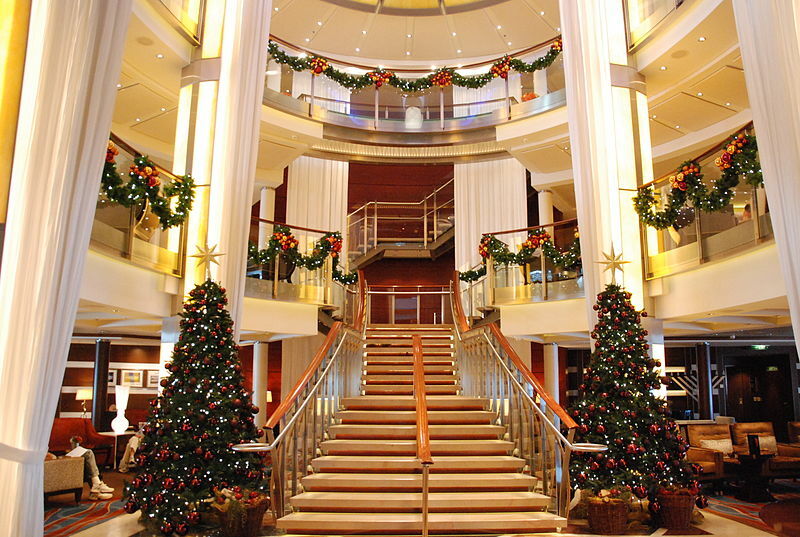 Spending the holidays on a cruise doesn't mean you'll miss out on all of the cheer. In fact, most cruise lines go above and beyond to make sure your holiday experience aboard the ship is one to remember. Lavish meals, over-the-top performances, holiday lights, carolers, and more will turn your ship into a (tropical) winter wonderland. One of the biggest perks of cruising is that you get the chance to experience multiple destinations on one getaway. During the holidays, this means you and your kids can learn how other cultures celebrate the most magical time of year. Admire the decorated palm trees in the Bahamas or take photos with Santa Claus in St. Thomas. Every destination celebrates the holiday season differently, and you'll get to experience several on a single cruise. The holiday stress doesn't subside when the presents are purchased. There's still all of the holiday cooking, cleaning, and party planning that needs to be done. When you hop aboard a cruise for the holidays, all of the details are left to the staff, whose only job is to ensure that you have an unforgettable holiday experience. Most cruise lines offer traditional holiday eats, like cookies and pumpkin pie, on the buffet, but you also have the opportunity to eat at whichever cruise restaurant interests you. Don't forget to make your dinner reservations well in advance for Christmas or New Years. Soaking in some rays is far more fun than shoveling snow. Head to the tropics on a holiday cruise, and you won't need any of your winter gear. In fact, you'll be able to enjoy a long list of outdoor activities that don't involve building snowmen with frostbitten fingers. Try snorkeling or parasailing at one of your island stops, or head to a bar or restaurant to taste local cuisine and sip ice cold drinks. 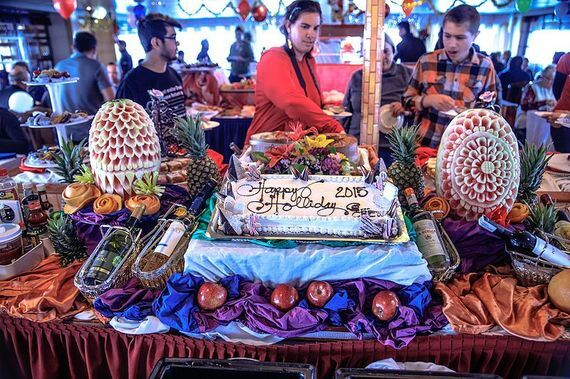 Taking a cruise over the holidays is all about new experiences, and you'll be amazed at how little you miss your old traditions the moment you step aboard the boat.